Negotiation is part of every human encounter, and most of us do it badly. 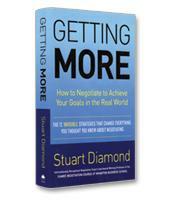 In this revolutionary book, leading negotiation practitioner and professor Stuart Diamond argues that the key to "getting more" is finding the right tools for each situation, being more flexible, and better understanding the other party. These strategies are invisible, until you learn them. Once you see them, they will always be there to help you get more. One night, in the early 1990s, American businessman Stuart Diamond stood in a Bolivian jungle clearing amidst a group of impoverished Indian farmers. He was there to make a deal: He wanted the farmers to stop growing coca (the plant used in the production of cocaine) and instead grow bananas that he and his colleagues would export. Wearing a three-piece suit, tie and suspenders, Diamond looked at the farmers in their tattered rags and said, through an interpreter (the farmers spoke Qetchua, an Indian dialect), "Look at me. You and I couldn't be more different. I dress differently. I talk differently. I look different. My plane ticket down here probably cost more than many of you make in a year. But I think we have some things in common. We both want a better life for ourselves and our children. And if we work together, we just might be able to do something together." Diamond went on to form a strong, lasting relationship with the farmers, in the end convincing 3,000 of them to abandon the coca plant in favor of bananas. For Diamond, a Wharton School professor of negotiation and a former Pulitzer prize-winning New York Times journalist, the story of the Bolivian farmers illustrates one of his 12 core strategies of better negotiation: Embrace differences. Differences are not to be avoided or ignored in negotiations, he writes. On the contrary, they can lead to more perceptions, ideas and options — as long as you value those who are different. This is just one of the areas where Diamond demonstrates his commitment to ideas that occasionally go against traditional business thinking. While other business book authors wage a pitched battle over the merits of aggressiveness versus kindness, Diamond provides strategies that push readers to get results. Getting More: How to Negotiate to Achieve Your Goals in the Real World is a tactical book in the guise of an entertaining read. Respect and openness is one of the key themes that run through Getting More. Diamond rejects the notion of winning through raw power or manipulation. Credibility, transparency and a real desire to solve problems cooperatively are more powerful than adversarial battles for victory. "If you come to a negotiation expecting a war, you will get one. And you will get less," Diamond writes. This positive, cooperative approach underpins all 12 of Diamond's negotiation strategies. 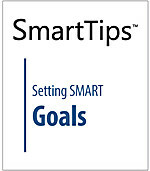 More than 400 anecdotes illustrate one or more of the strategies, as well as the tools, such as role reversal, that help implement those strategies. Early chapters in the book underscore some of the important themes that drive his brand of negotiation: People are everything, perception and communication gaps are deal killers, emotion is the enemy of effective negotiations. 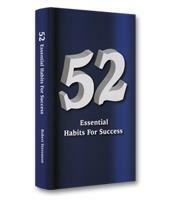 Later chapters adapt the strategies and tools of the book to specific areas including family, work and travel. The stories in this book alone are worth the reading. Many of Diamond's anecdotes involve negotiations in familiar situations that we don't realize are negotiable — how to get an airline pilot to open the closed boarding gate, for example — while others illustrate the power of the strategies in the most difficult, high-stake situations. Every reader will benefit from Getting More.